Let your friends and family know you were at least thinking of them on their birthday. This is a funny birthday message that let’s them know it’s the thought that counts. 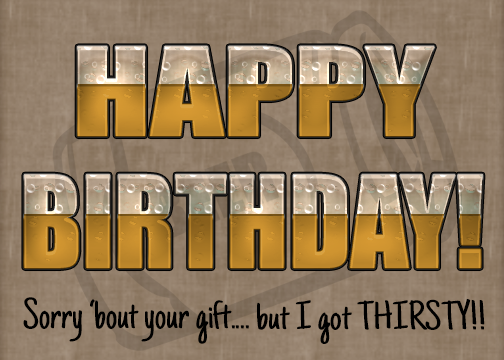 Even if you did get parched and drank their gift. After all, what are friends & family for? Right? This design was created with licensed Laboratory Photoshop Styles from GraphicRiver at Envato Marketplace. The designer of this Photoshop Style is Survivor. This style comes in a kit of 8 different laboratory styles. The font used was Impact. Resolution for this image is 72 DPI for websites. To save the image just right click on it and save it to your computer or click the download link so you will have it on hand when you want to send a greeting on a social network, through instant message, or email. This is an alternate design created with a dark rustic wood background. 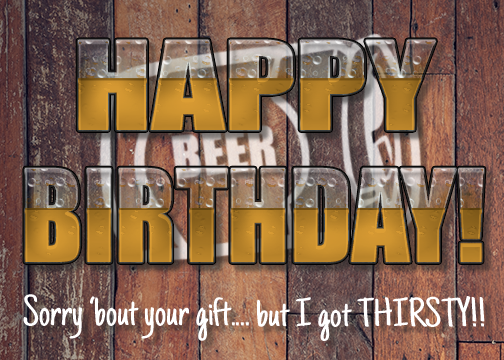 The beer can is peeking out through the liquid font Happy Birthday. 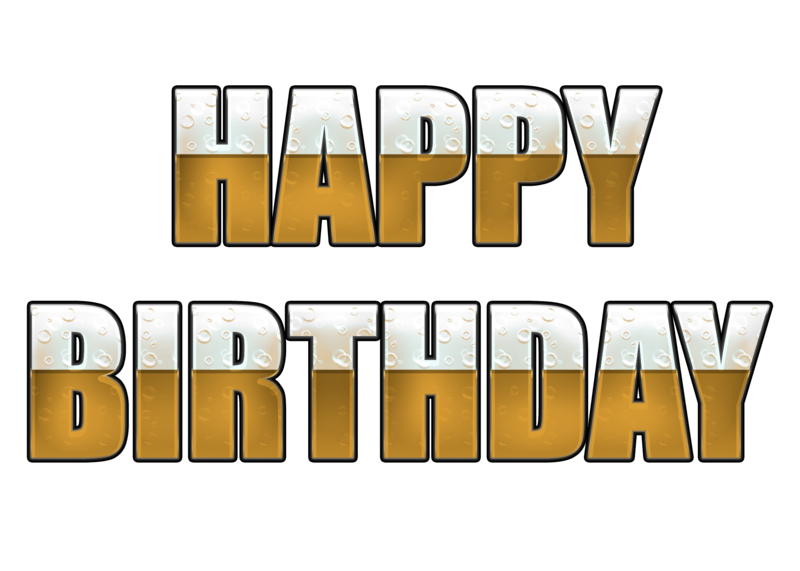 I used the laboratory style to create the Happy Birthday and changed the color of the liquid to a beer color. It’s original color in the styles pack was a neon green. The new color I used was #d49832 This style is fun to work with but a little tricky when it comes to adding a background behind it since the top half of the style is semi transparent. 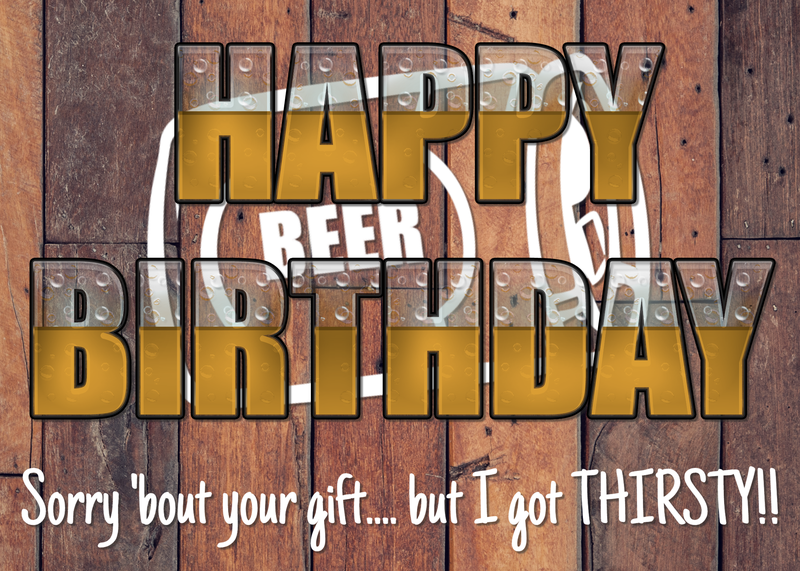 Sorry ’bout your gift… but I got THIRSTY!! PU only. To create your own printable Birthday Card print out on to bright white card stock paper sold at most big box stores and hobby stores.